Inverness have signed 21-year-old Wolves striker Sam Winnall on loan for the rest of the season. 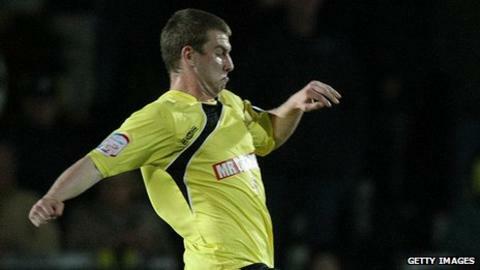 Winnall, who made his debut for Wolves in a Carling Cup tie with Southend in August 2010, has had loan spells at Burton Albion and Hereford United. "Sam's got terrific ability and is a proven finisher and we're delighted that he's agreed to join us," manager Terry Butcher told the club website. "He gives us another option going forward and he can also play midfield." Winnall, who goes straight into the Inverness squad for Saturday's match against St Mirren, was given advice by Wolves midfielder David Davis, who was on loan with Caley Thistle in the first half of the season but has now returned to Molineux. "Wolves boss Mick McCarthy told me he was extremely pleased with the benefits David Davis gained from his spell with us," said Butcher. "He felt David had gone away a boy and returned a man, as regular SPL action had developed him physically and improved his match awareness."